It’s time to introduce one of our Ambassadors in Finland, Jenni. 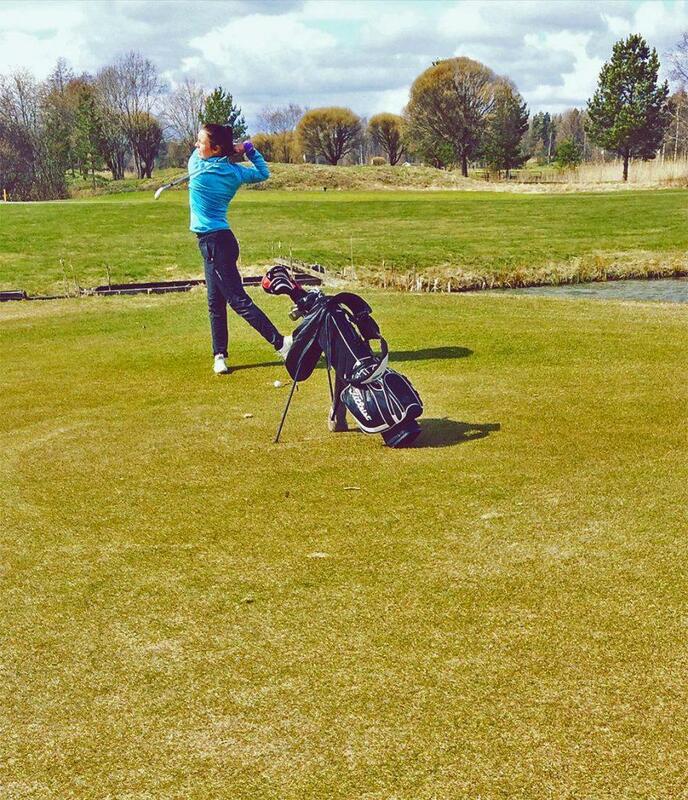 Spring has finally arrived to Finland and Jenni is excited for the golf season to soon begin. 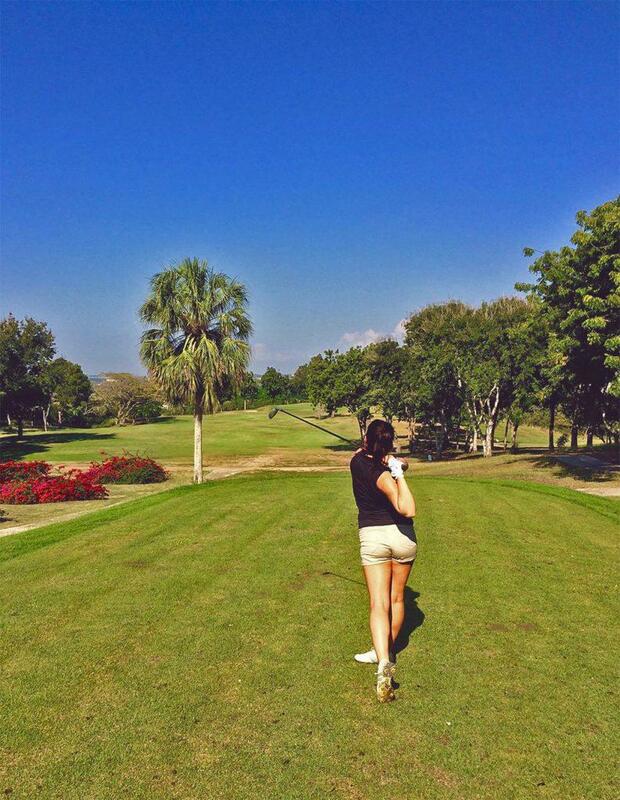 Jenni started playing golf at the age of ten. Her family inspired her to begin the game, as her mom, dad and brother were spending every weekend on the golf course. She was forced to go along with them, and at first she wasn’t interested in the game at all. She simply sat in the golf cart and read Donald Duck. In the beginning, she did not really enjoy the game that much, so the memories are more to the negative side. When her handicap got lower and she started scoring under 100, she realized that she was hooked on the game of golf. She was following her brother in competitions and noticed that she would not be the worst in the girls’ series. That’s when she decided she wanted to compete. In addition to golf, Jenni also enjoys playing tennis, going to the gym, running, skiing and snowboarding. She’s been a GameBook user for four years now. At first, she only marked her more successful rounds on the app, since she wanted to see how her good rounds looked like. Thereafter, she was hooked by the idea of having her statistics all in one place and being able to track her personal development throughout the season. Her favorite feature is the eclectic scorecard. I like to be able to see the best scores I’ve made on different courses and holes. On my home course, I only had 3 holes where I had never made a birdie. That has made me try harder every time I play one of those holes, to finally score a birdie. Jenni mostly plays golf with her family and her boyfriend. Sometimes she also plays with her old friends from the time when she was competing. Jenni’s idol in golf is Michelle Wie, because Michelle is such a good player and a golf fashion icon at the same time. It is no surprise, that Jenni’s dream flight in golf would include Michelle as well as Tiger Woods (of course) and Rickie Fowler. Jenni’s idol in golf is Michelle Wie. Her favorite golf course is Penha Longa golf course in Portugal. She enjoys the beauty of the course as well as the challenge it offers. The Old Course at St Andrews and Pebble Beach are the two courses topping her Bucket List. In her golf bag Jenni carries Nike irons, Callaway driver and woods and a Seemore Putter. She used to play with Nike golf balls, but since they don’t make them anymore, she tends to play with Srixon Z-Stars. Jenni’s absolute favorite golf club is her putter. I like the idea of being able to either save or destroy my score with my putter. The kind of putting day I have usually determines whether I’m happy with my score or not. 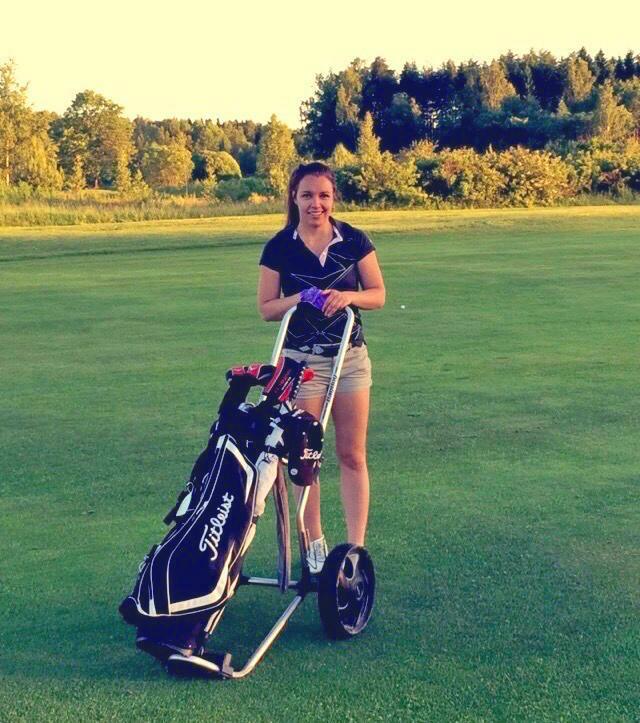 One of her favorite golf memories is from Tahko Golf in Finland. She was fifteen at the time and golfing there with her family. She had never scored under 80 before, but during that round every putt just went in and every shot was one of her best. Jenni’s goal in golf is to score under par some day. And judging by her determination as a golfer, it will most likely happen!